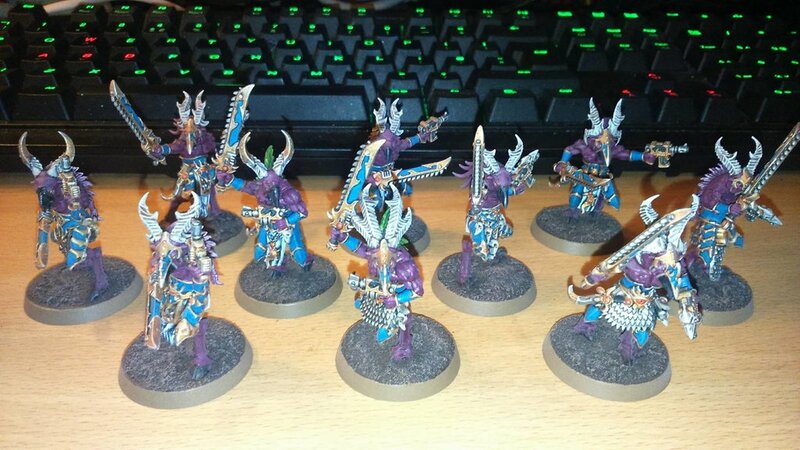 This month has been pretty manic for me, as in painting these guys became a lot quicker than I expected. Normally I sit and chill-paint for a month and then get somewhere but these guys rocked in after a solid two weeks (with some breaks) of painting, proving that I can work like a machine at times. 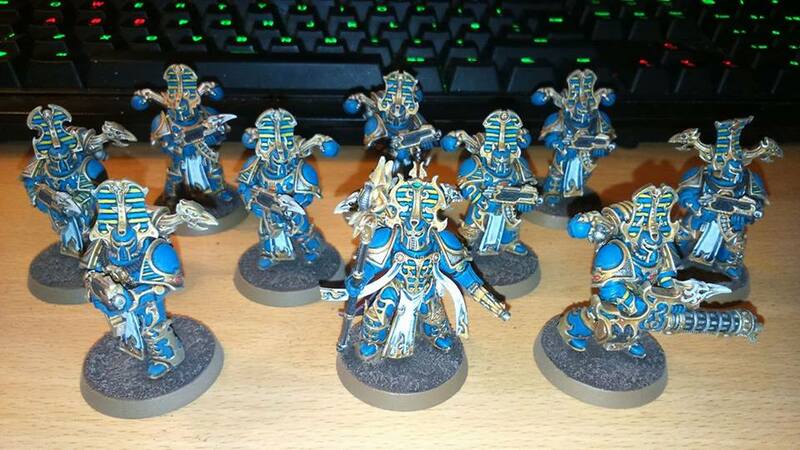 Due to this, my Project Thousand Sons should be a bit quicker, as I’m getting into a groove of painting. That and I have a Throne of Skulls (Warhammer Tournament Thing) in September to go to, and the rules are everything must be painted. So let’s do this! Just whacked out these five in about a month or so (since that’s the way I’m doing it) and am quite happy how it all came out. Since these all started from being a gold spray, I’m really, really happy how it’s all done. 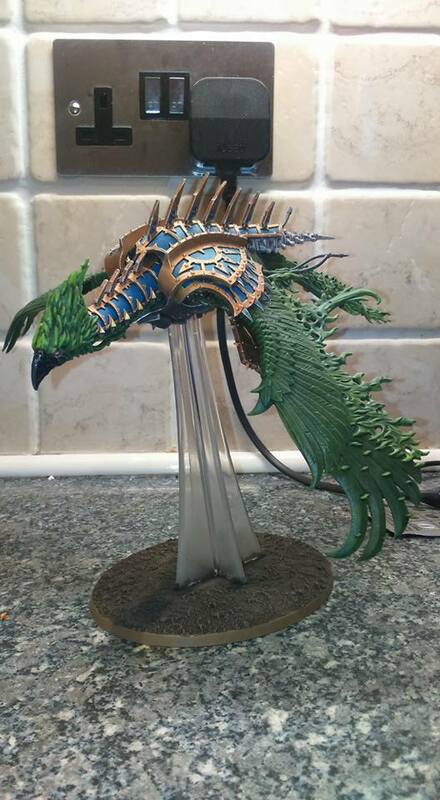 So, after I did the Scarab Terminators I stated that I’d do something with wings. I kept this in secret from a lot of people and am now proud to show it off to the world in all it’s burny glory. This is a Heldrake dedicated to my lil’ growing project. Also known as Ahriman’s Burning Parrot. So, here’s the relic obsessed bird men wizard things, otherwise dubbed as the “MagpiePatrol”. I really enjoyed painting these as it allowed me to add some much needed fleshtone to my force (which is mostly armour). The fact that they only took me 10 days was also pleasant. These are the milestone. The finish line. The part where I put down the paintbrush and call it a day. 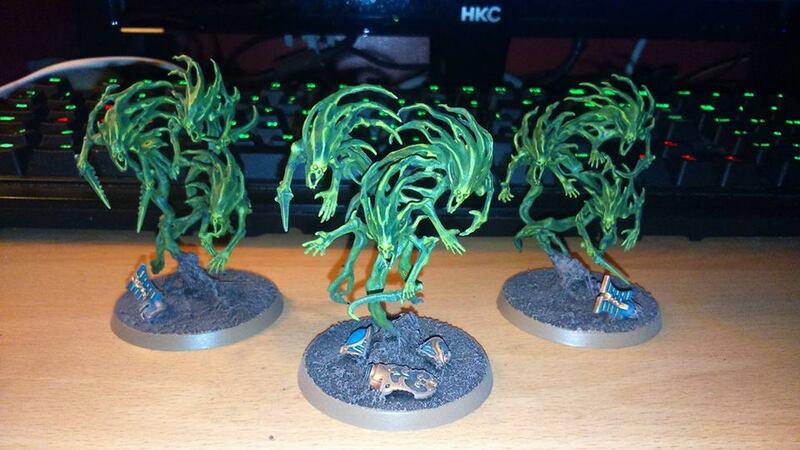 These are the last units that needed to be painted for my army, which is now complete and ready for the tournament I have in nineteen days time. I’m happy how it’s come. I’m really, really happy how I’ve done. The army itself was intimidating, and the amount of detail on them all was… Well, intimidating as I said before. Though I have done something that I haven’t done in almost a decade. I’ve fully painted an army. It’s been one hell of a bumpy road from completion to end. 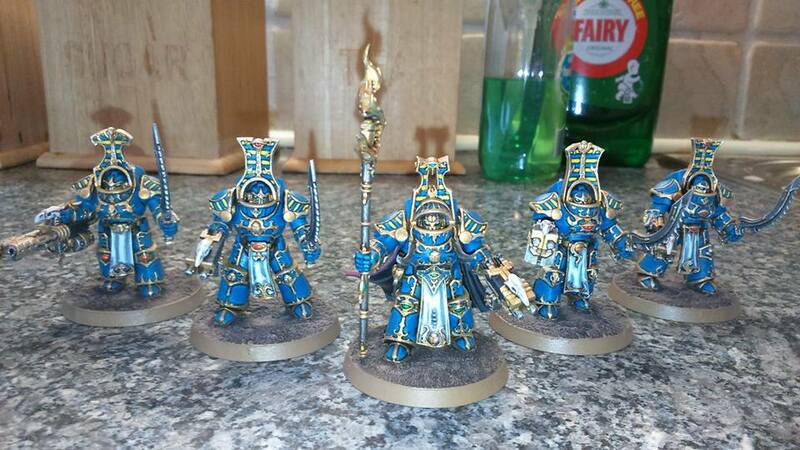 Last December my heart was forged into something that I’ve waited fifteen years for Games Workshop to do, and with the recreation of the Thousand Sons miniature range I set myself a task to get this force built and painted to the best of my ability. It was a task set by many of my friends, who without their guidance and positive feedback I would have failed and ceased to complete this. But now it’s here – all done. From beginning to end the favourite miniature in this force is Ahriman (he who sits on the front centrepoint). He has been my favourite miniature throughout any and all tabletop wargames; ever since seeing him all those years ago all the way to finishing putting the final pieces of paint on it, he has been a gem to my eyes and will remain so. The most amount of affection I’ve ever put into something that I could never, -never- mess up; and I’m proud of it, just as I’m as proud as the rest of the force. For gaming purposes this is a fluff-heavy list. Having read all the Thousand Sons novels, including Ahriman’s personal Omnibus Trilogy, I have found myself in a depth of knowledge to which I could use to make this force unique. I believe I’ve done a good job. 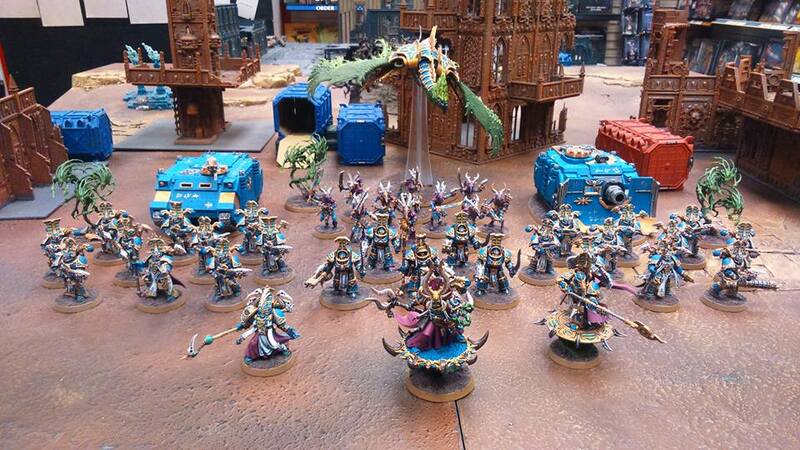 I can now rest and relax, and prepare myself for the tournaments and gaming nights ahead knowing I’ve done the best I possibly could to an army that I’ve fallen in love with time-and-time again. Don’t think this will be the last you hear of it, though. More will come. Do sign up to our Facebook page for more updates.